If you've received the invite, you need the dress watch to match. And, while the lady in your life may dazzle with a fine jewellery watch, our edit of the best is the perfect alternative to a classic black tie timpiece. 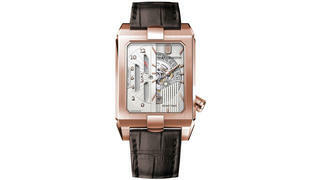 This version of Harry Winston’s rectangular-cased Avenue offers an unusual take on dual time. Local time is displayed on the right in the conventional way, while home time is indicated by a red pointer moving beneath a column of staggered numbers to the left. The case is made from Sedna rose gold. 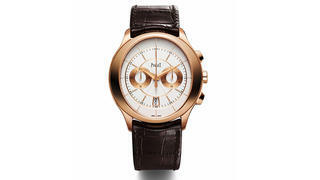 This watch has a distinctive case – round on the outside but oval in the middle. Behind the sunburst dial lies a flyback chronograph that allows the second hand to be stopped and reset with a single push of a button. A transparent caseback gives a view of the mechanism. A dress watch for the thinking man. 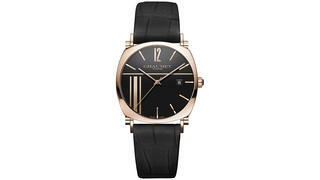 There are several variations but this pink gold one is among the most elegant. The 38mm case is an unobtrusive 8.8mm thick and contains a hand-wound movement. The dial is engraved with bayadere stripes, a pattern Chaumet has used since the 1920s. The Slim Classique looks simple and discreet but closer inspection reveals impressive detail, including intricate engine-turning of the dial centre and bezel and the Breguet-style hands. The case measures just 5.35mm thick and contains an ultra-slim, hand-wound movement. 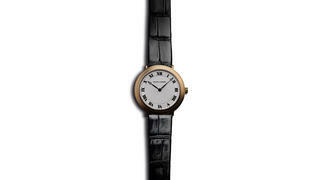 The watch is available in 38mm or 43mm diameters. 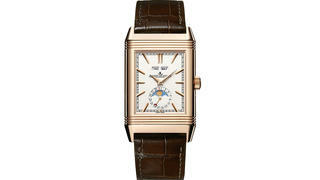 Celebrating its 85th anniversary, the Reverso lays claim to being one of the greatest watches ever created. This hand-wound model pays homage to its art deco origins. The front of the flip-over case has a calendar display, while the back has a second time zone with day and night indicator. 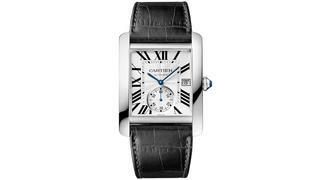 Cartier’s Tank is one of the great horological survivors from the art deco era. Inspired by the side profile of the WWI Renault tank, the first Tank watches were made in 1919. The model has been in continuous production ever since and the design has been adapted to numerous versions, one of the most recent being the square MC pictured here.